The day after St. Patrick’s day I woke up bright and early. 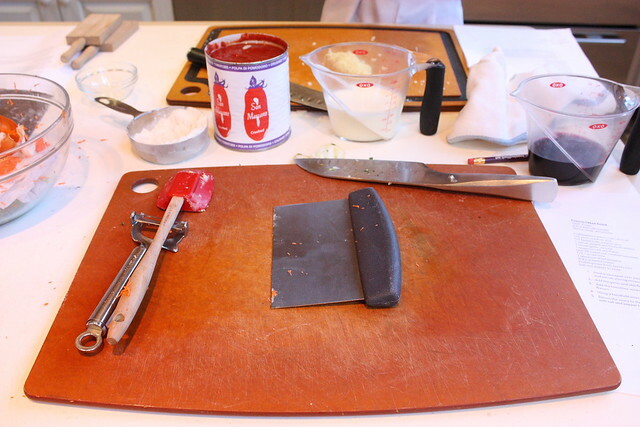 The sun was shining and the birds were chirping, literally, as I made my way to The Chopping Block for my Got Gnocci cooking class. In the class, a professional chef taught us three ways to make gnocci along with myriad other cooking tips such as the proper way to chop herbs and a speedy style of onion-dicing. Not only are they extremely informative but they also serve beer, wine, and bubbly if you so desire. 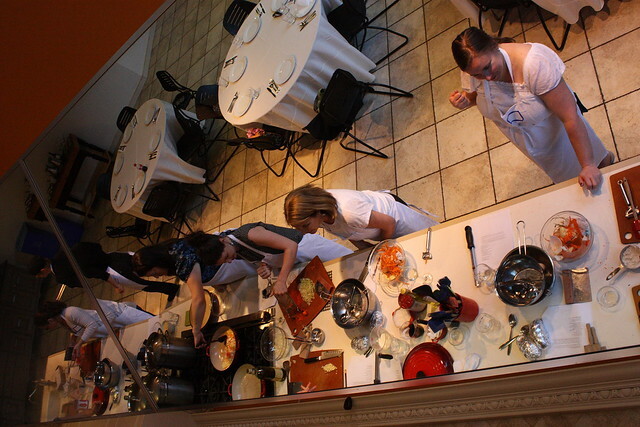 This is my second class at the chopping block and I will absolutely be back again. My class made ricotta gnocci with a rosemary brown butter sauce, potato gnocci in a tomato cream sauce, and baked semolina gnocci with fontina and parmesan. 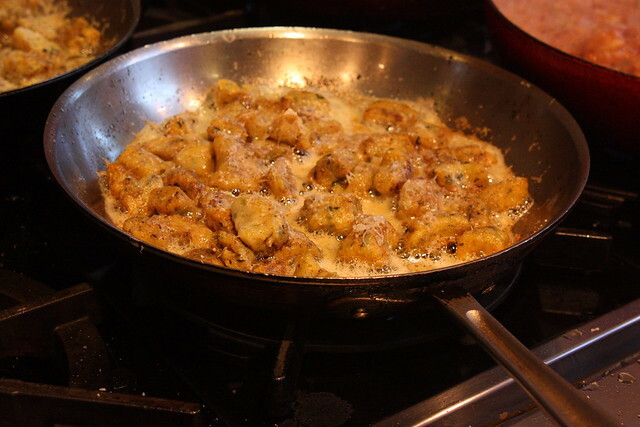 Needless to say, it was DELICIOUS and I can’t wait to try making gnocci on my own. 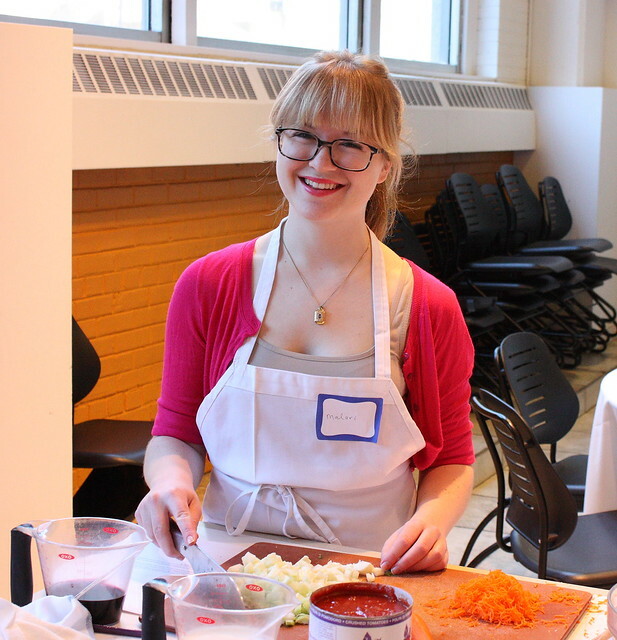 I really love taking cooking classes and my sweet friend Megan joined me for this class–turns out, she loved the class just as much as me. Now I have a friend to drag along whenever I want to learn a new skill in the kitchen! If you’re in the Chicago metropolitan area I would highly recommend taking a class at The Chopping Block. The staff is really knowledgeable, the store is well-stocked, the classes are a blast, and I always meet new friends when I go! Nice! Ahhhh if we lived in the same city. This really does look like fun, I should look into what's around my area. Lol my Dad took to making gnocci a couple years ago too – so much so that when he came to visit me in France he insisted that we head to Italy to find a gnocci roller. Great question Amanda!! 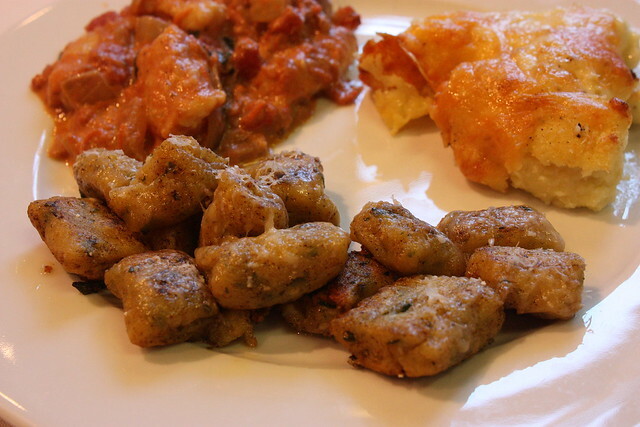 Gnocci can come in many forms but they're generally made out of potato. In my class we made potato gnocci, ricotta gnocci, and a polenta-style semolina gnocci. I'd liken them to little dumplings. They're great!